I think most of us associate positive connotations with the word sunset. 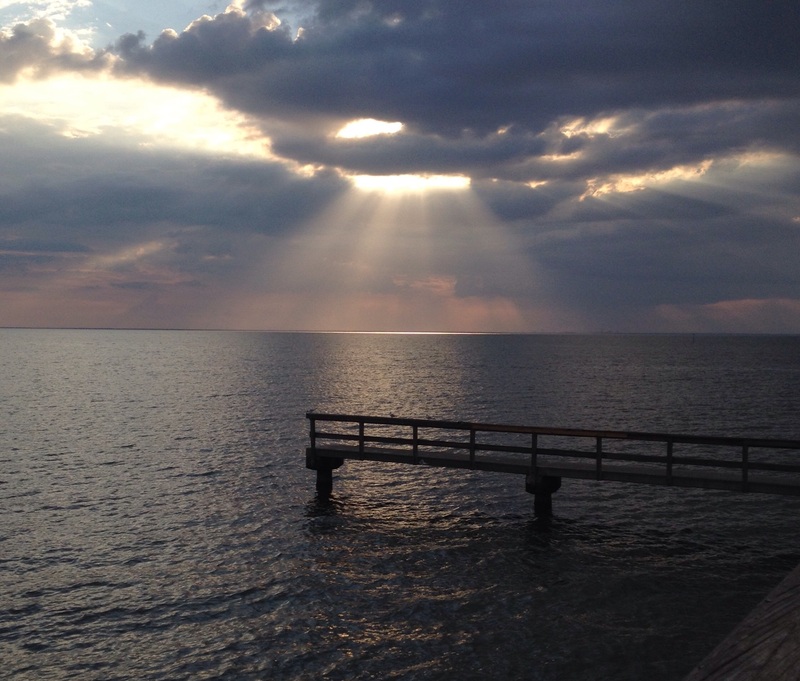 Photos and paintings of sunsets normally are created and admired because of their brilliant color splashes across the sky and their moment in time with visible rays of sunlight (like the view pictured, which I photographed at Fairhope, Alabama). After the sunset thrills our eyes, the beauty of full darkness, when stars are sparkling overhead, captivates us, too. We find the night sky mesmerizing, thought-provoking, and romantic. See the Bible verse above and some stanzas of poetry below, all demonstrating a poetic response to the beauty of the heavens. A poet’s responses to beautiful sights often arise from thoughts that have turned serious, and serious contemplations sometimes progress toward the melancholy. Melancholy’s primary meaning is dismal, depressed, downcast, glum, mournful. But, there is a second category of meaning that isn’t about despair. Melancholy is similar to “sanguine” (as a personality type more than a passing mood), defined as pensive, analytical, and quiet. I didn’t realize the folks at Merriam-Webster ever met me! Melancholy’s last four letters spell holy. A nice tie-in with the serious worship of God. Communicate the cryptic closing statement of the day? How splendidly is fashioned this farewell! *Have You Seen the Sky? (2002), stanza 4 of 6, by yours truly. Wonderful message and this teaches us to love God’s beautiful world, day and night. Great, Betsy. Thank you, Dan! We are indeed blessed. Because I work in a setting in which I can see beautiful sunsets on a regular basis, this post gave me more to be ‘pensive’ about when I look at the next one, hopefully this evening. Perks of the corner office! :0-) Thanks for reading, Dennis.